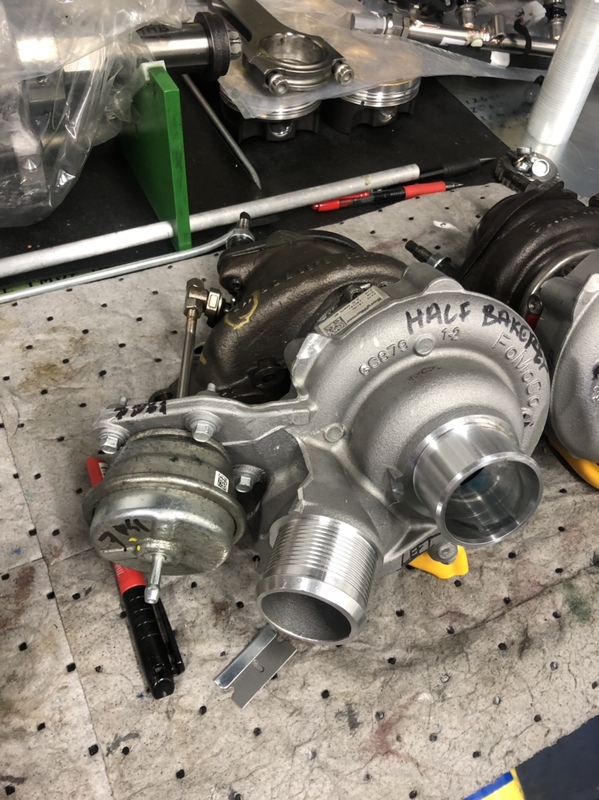 So I've read that the 2018 f150's have bigger turbos, can anyone deny or confirm this? For 2.7 of 3.5? Or do they always use the same? The most prominent change is the addition of port fuel injection, while keeping the direct injectors. The port fuel injection was partly added due to the fuel output needs on the 3.5L HO Raptor engine, but also has several benefits for the 3.5L EcoBoost. 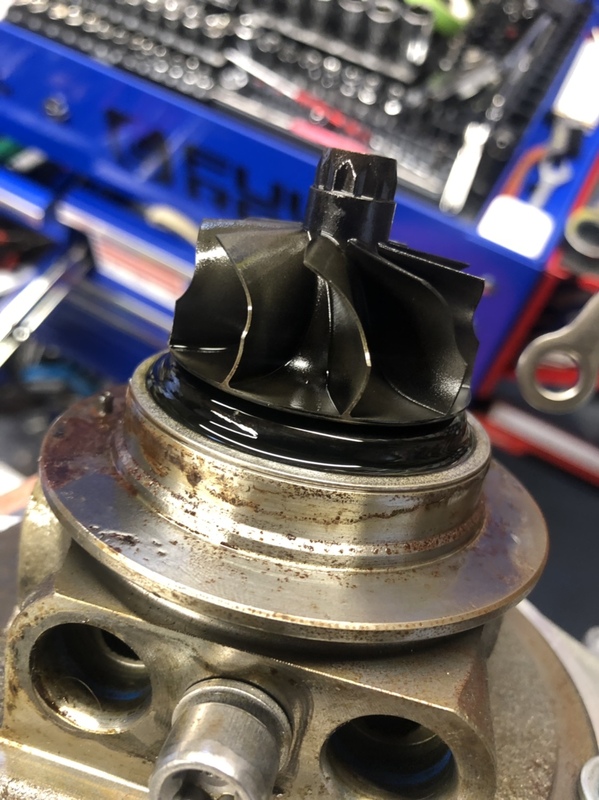 It will prevent buildup on the intake valves and keep them clean due to fuel passing over the valves. Under certain engine conditions such as low rpm and low loads the high pressure fuel pump and direct injection system will turn off and the engine will only use the port fuel injection, reducing efficiency losses due to the HPFP. Both systems will operate at cold start, which will reduce emissions that direct injection suffers to due to cold cylinder walls and lower fuel atomization. 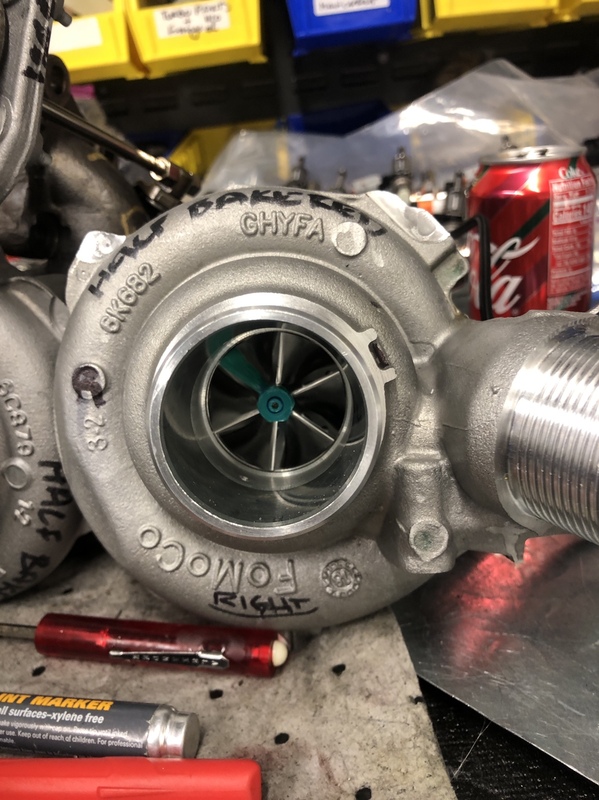 Turbocharger changes include electronically actuated wastegates, turbine wheels now made with lighter Mar-M-247 super-alloy increasing responsiveness, and the same 51mm turbine wheels but with sharper vane angles allowing boost to be increased by 2.5 psi (0.17 bar) up to 16 psi (1.1 bar) max. 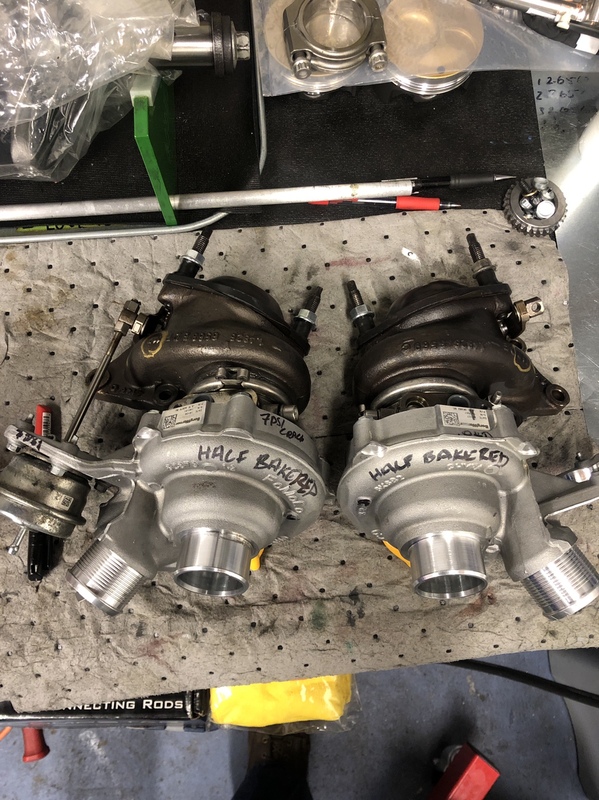 The turbochargers continue to be supplied by Borg Warner. The camshafts were made hollow for weight savings, along with the addition of a roller-finger follower valvetrain. The compression ratio was increased from 10.0:1 to 10.5:1 (except on the 3.5L EcoBoost HO for the Raptor, which remains at 10.0:1). The engine also features auto start/stop, which decreases emissions during city driving by shutting the engine off in extended idling periods. That's good data, but the 17-18 3.5 has a turbo difference with both being gen 2 engines. I am not sure on 2.7. 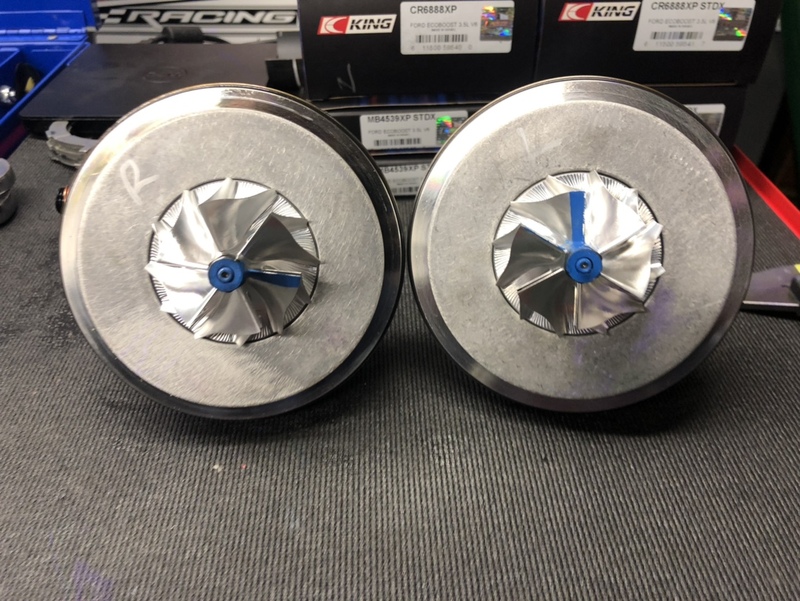 Can you provide further details as to what exactly makes them different, is it just the inducer wheel, the exducer, both, the entire turbo assembly is different? The 18 vs 17 regular truck has a good bit of difference. 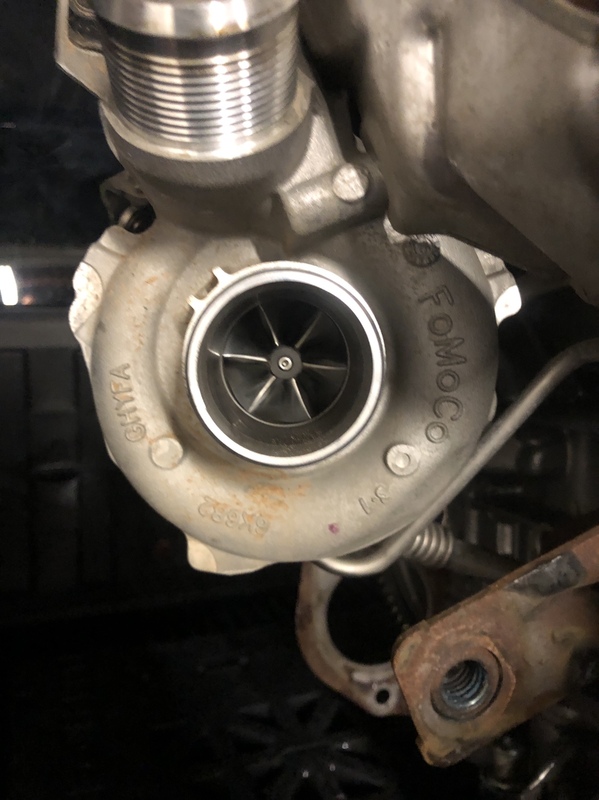 The 18 raptor has about a 1.5 mm larger compressor vs 17 raptor. All turbines appear to be the same but don't quote me on that. So it is confirmed the first gen and the 17 have 51mm I think, does anybody know the size of the 17/18 raptor or the 18 3.5? Mikedick77, Blown F-150 and goJim like this.